Where Music grows and Beauty is unchained. An unseen, skilful, medieval wall. Let Christ the beggar, teach divinity. The purple, rich Elizabethan time. Bearing the western glory in her heart. With living language, words that set us free? We must have many Lincoln-hearted men. A city is not builded in a day. Originally settled around 1810 and called Calhoun, Springfield, the State Capital of Illinois, now has around 200,000 inhabitants. 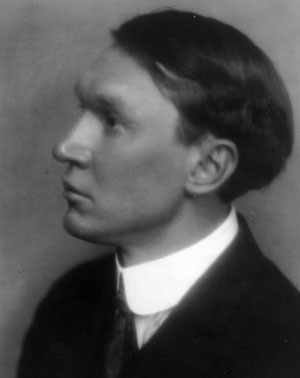 That would probably be too many for Vachel Lindsay, who was born in the town. The town's main attraction is its association with Abraham Lincoln, who lived there in 1831 and 1832.